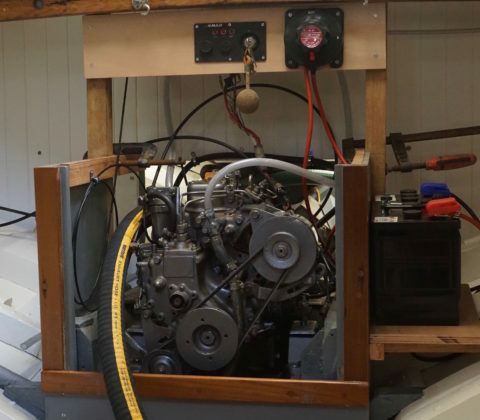 Steve and Jim spent a long day last week making final tests on the engine which was fully refurbished with Jim’s help in 2011 and put back into the boat in 2014. 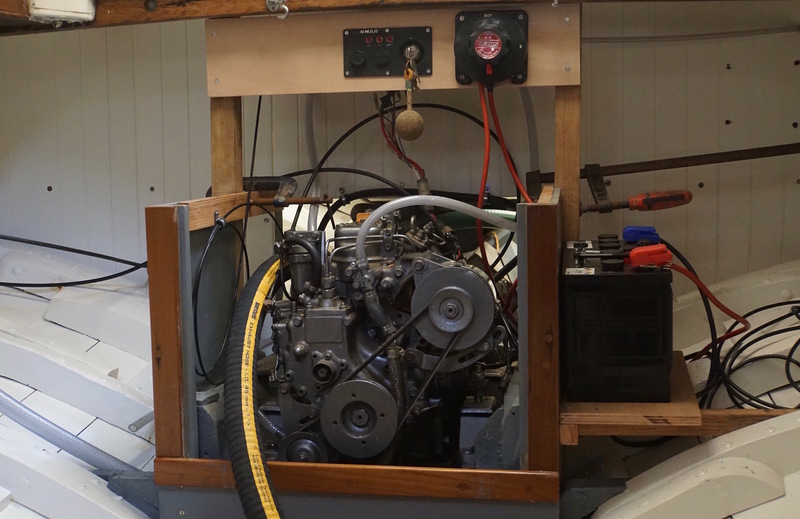 Find the full engine story, with videos here. 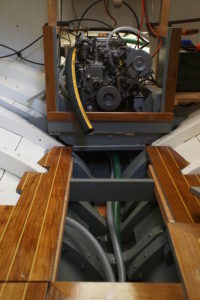 Last week, they set up all the fuel lines, replaced all the electrics and set up a new starter battery ready for the launch. Peter checked it all out, along with a modified arrangement for the exhaust, on Monday 31 July and gave us the final go-ahead that it all seems OK for Friday . . . Steve also fitted a sacrificial anode, to protect the propeller from electrolysis. One electric and a manual bilge pump have also been re-fitted. The manual one is more convenient to use and, for now, the electric pump is sired from the starter battery ready for launch day. We still remember the phone message from Mark, back in December 2006: “Hi Steve, your boat’s sunk!” Watching the bilge pumps, as she takes up, will be Steve’s main priority next week!